Blue skies and a tailwind … what could be more perfect?! With a hot day forecast and a long ride, breakfast was early this morning so that riders could get away early. By 7:00 it was already getting warm when I got underway with my usual partners, Elaine and Michel. 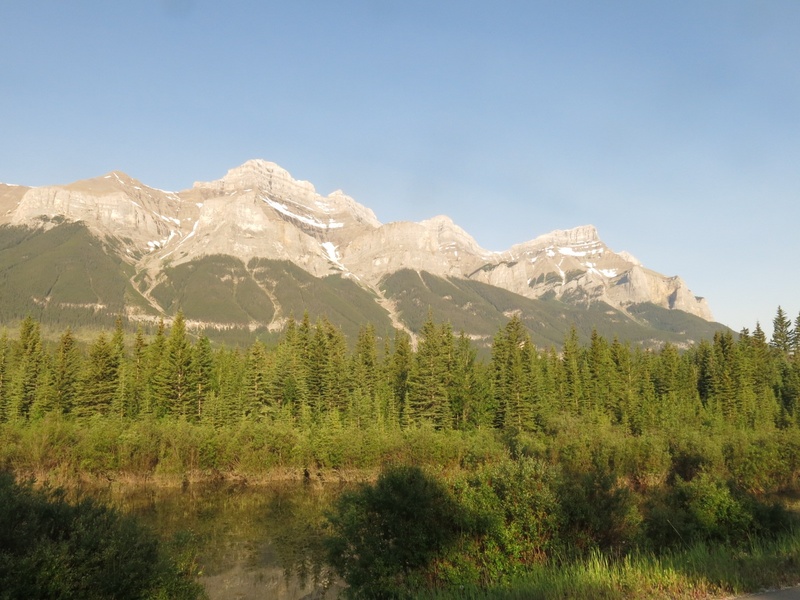 As we cycled along the Trans Canada away from Banff we could see plenty of evidence of the flooding from a couple of weeks earlier. A bicycle path alongside the highway had been washed out at one point and the stream still flowed over where the path had been. 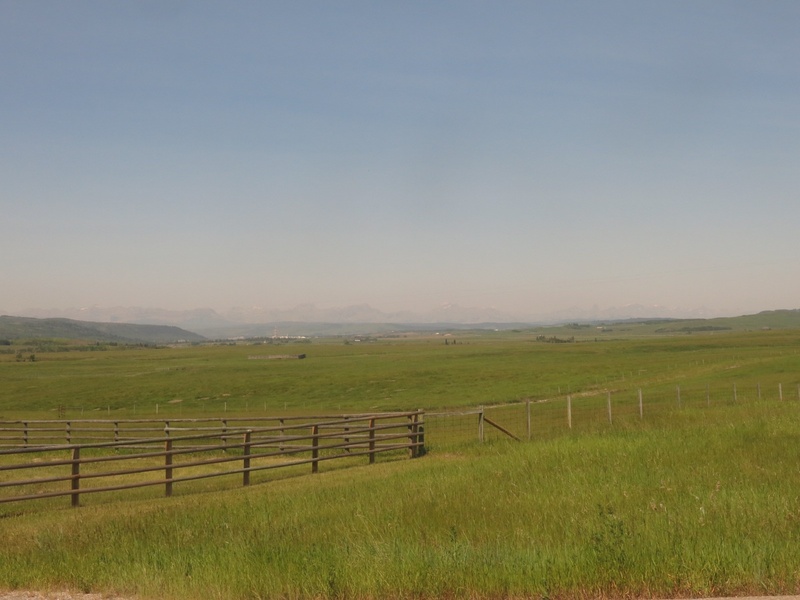 Soon we were past the Banff Park Gate and heading towards Cochrane, gradually leaving the mountains behind. 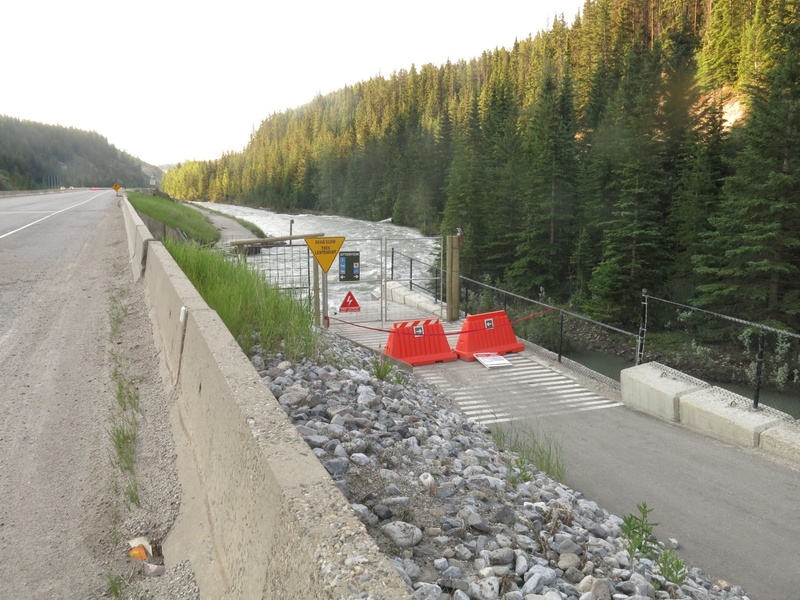 At Canmore we had been told to expect a detour around the construction underway to rebuild the washed out road. To our surprise there was no detour and we sailed right through. With not a cloud in the sky and a tailwind we felt like we were flying down the highway with little effort. At the Morley exit we road north to get on Hwy. 1a into Cochrane. 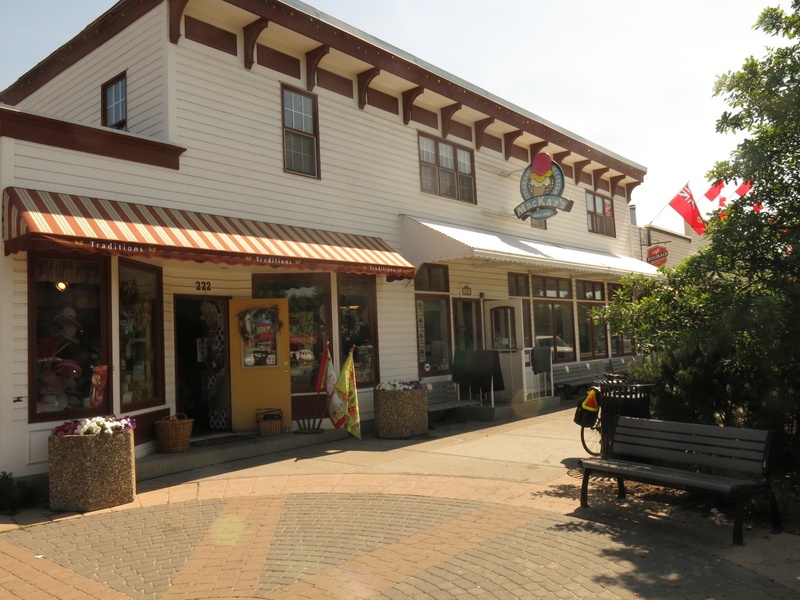 One of the things Cochrane is known for is MacKay’s ice cream. Into town we went for some of the best ice cream around! No sooner were we back on the road when Michel pointed out that my tire was low. Flat #2. Of course it was the rear wheel to boot. A slight delay and once again we were off. By the time we arrived in Airdrie it was pretty hot. At one point my Garmin was showing 40 degrees. With that kind of heat most people, myself included, were pretty much wiped when we got into camp. After setting up my tent I had to just sit for a while and drink a bottle of water and bottle of sports drink before I had the energy to go for a shower. In spite of the heat it was a pretty good 151 km ride today. This evening we had several riders receive visits from family. Michel, Bill and Yukon Greig all enjoyed visits with friends and family. And the rest of us enjoyed ice cream brought by Bill’s brother and creamsicles handed out by Greig’s granddaughter. 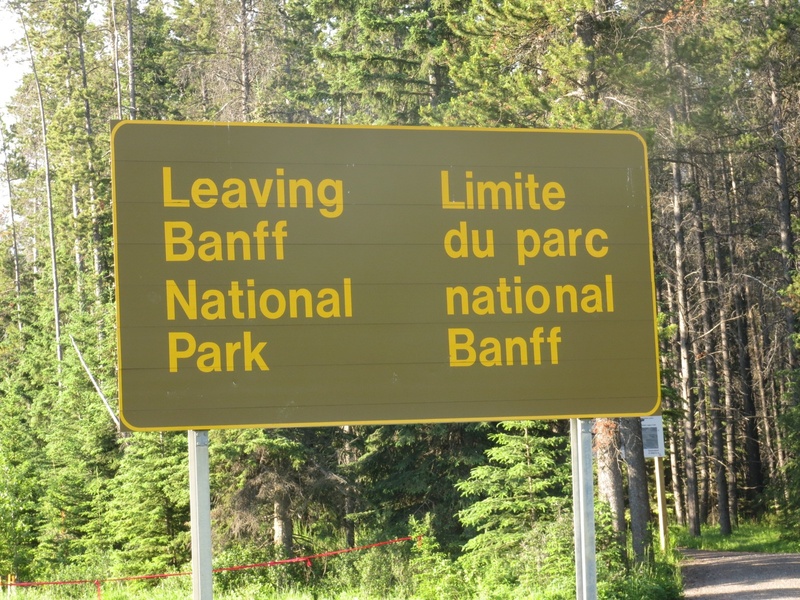 This entry was posted in Cycling, Tour du Canada and tagged riding, Tour du Canada. Bookmark the permalink.